We asked Nelly's Treasures designing, screen printing and sewing extraordinaire, Helen, a few questions about her life as a maker in Cardiff. 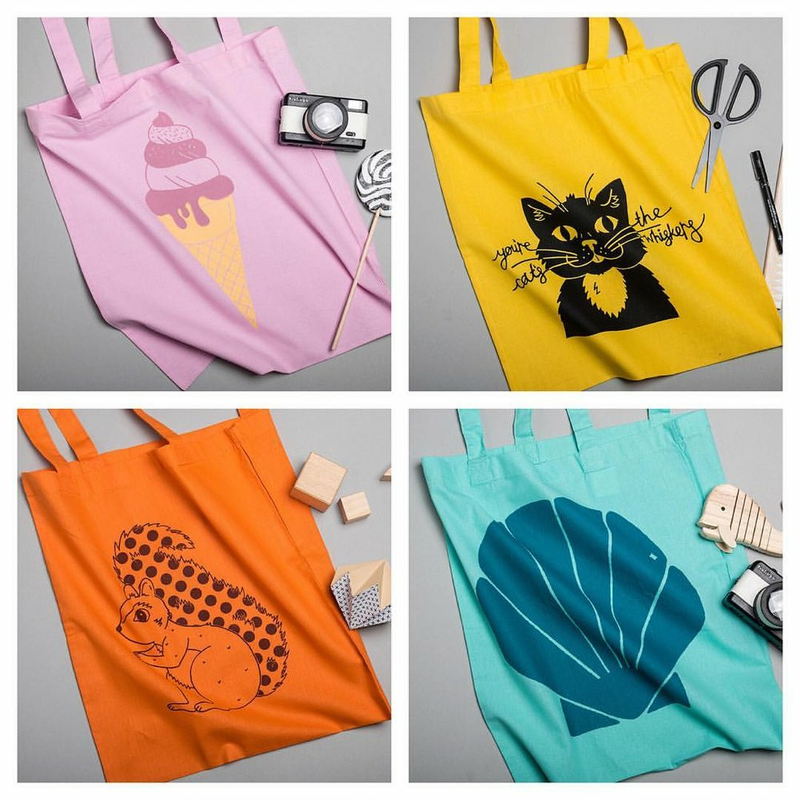 Launched Nelly's Treasures, creating screen printed gifts and accessories. Lots of daydreaming and thinking up things that make me smile. I like working with imagery that makes you feel at home and surrounded by lots of cute things! I tend to draw inspiration from my processes too - such as thinking of things that would look good printed or stitched up as a squishy plush cushion! Each day is so different, and that's what I love about my work. It generally starts with a big mug of tea but can include making screens and printing, sewing and stuffing cushions, or taking photos and social media. I have a studio at The PrintHaus in Cardiff, where I can do all these things under one roof, for which I'm really thankful. Who is your favourite designer/maker & Why? I have so many it's hard to choose, but I totally love the creations of Donna Wilson and the world she's created for them. Great character design and her use of colour and texture is ace. What is your most treasured item of homeware? I have my crib from when I was a baby that my son is currently using. It has the most beautiful 1970's de-calls on the side of illustrations of rabbits and trees and a family living in a shoe. Super cute and super sturdy- it's so well made. Which of your own designs are you most proud of and why? I love my Cat's Whiskers print as it reminds me of my own cheeky cat. It also combines my love of animals, puns, and typography and is always a fun one to print. 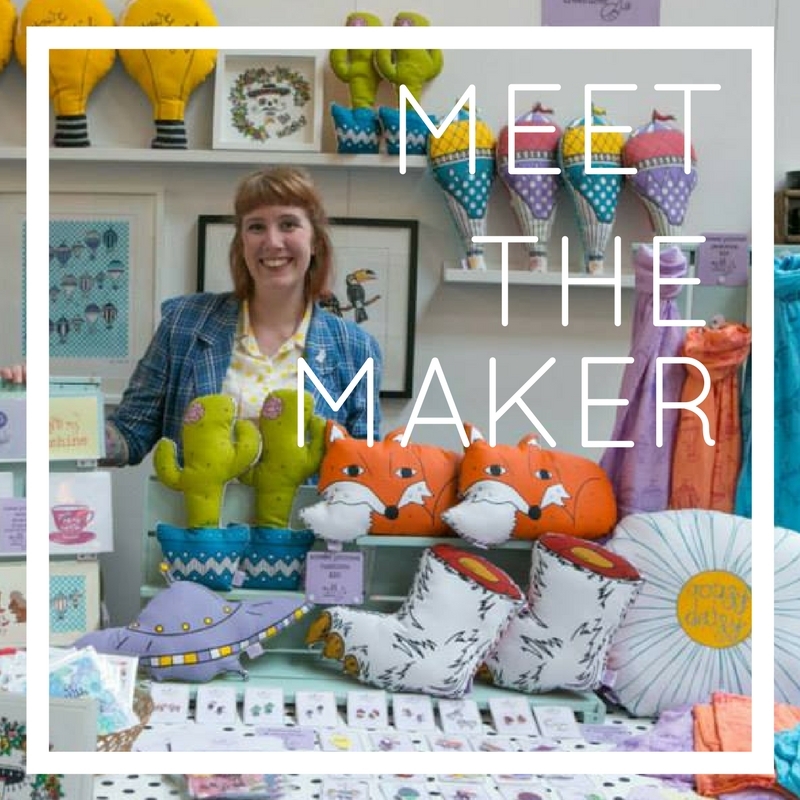 Big thanks to Helen for taking the time to answer our Meet the Maker questions. Go check out her products over on our website right now!